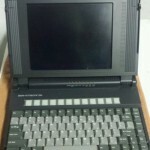 I have two of these laptops, one has a bad LCD backlight, I am keeping it for parts as the rest of it works. Congratulations for your collection! It’s impressive! 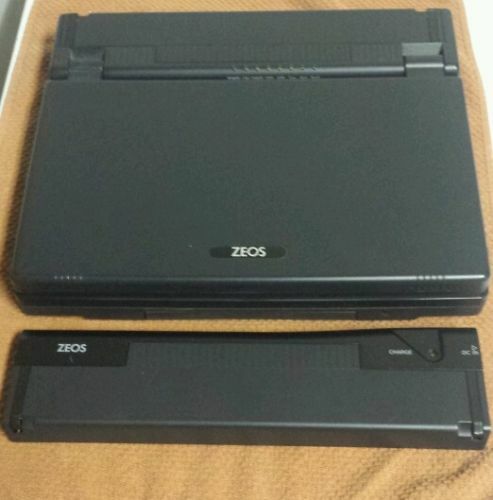 I have a Zeos Contenda laptop and I would like to take it apart to see what it contains. Do you happen to have a manual for it or a disassemble guide? Thank you! Thank you for the kind words, my collection has been a long time in the making. Unfortunately I do not have any disassembly guides, I would just carefully work your way through it, if you spend some time examining the screw locations it usually will make some sense which ones need to come out, older laptops are usually no too terrible to work on, just make notes or take photos which screws came from where, many are different sizes. Thank you for the advice given. I have another question: I would like to install a compact flash adapter so i can change the hdd to a large compact flash. If a use a 4gb cf card would it be recognized by the BIOS? Is there any way I can bypass the BIOS limitation? You should be able to install a CF adapter, but I can tell you the BIOS in this computer will only recognize 520MB without help, so if you use a 512MB CF card you should not need any extra software. However if you are set on using a 4GB card, you will need to use some kind of BIOS overlay, something like OnTrack Disk Manager (I have some OEM versions for download in my utilities page, however they are linked to certain brands of hard drives and would not work for CF cards, you need to find the non-branded version of Disk Manager). There were other options for overlays, Disk Manager is just the most popular by far. Just got a zeos 286 notebook. Was wondering what brand of hdd you installed and where you purchased it from. Thanks! BTW I’ll leave a link when I tear open my laptop again. I’ll post a youtube video. 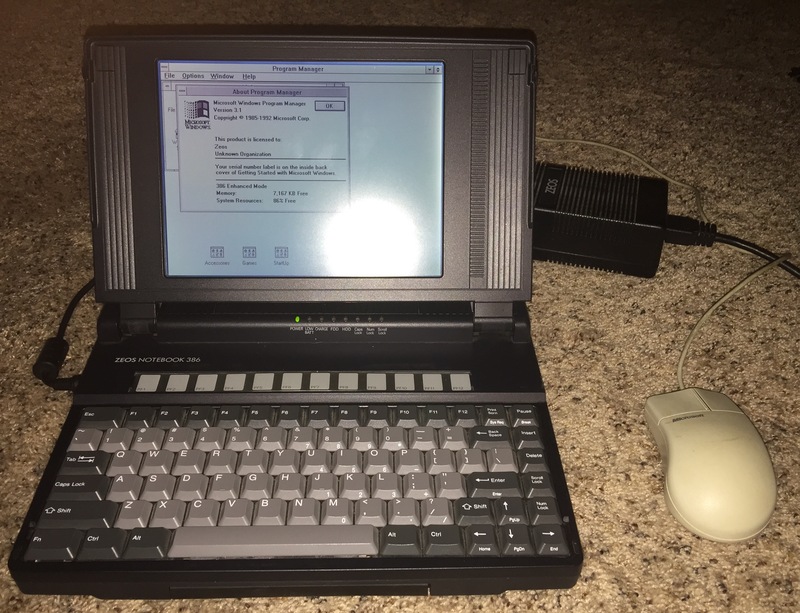 I used an IBM drive, but brand really doesn’t matter, any PATA 2.5″ drive could be made to work (at least in my 386). 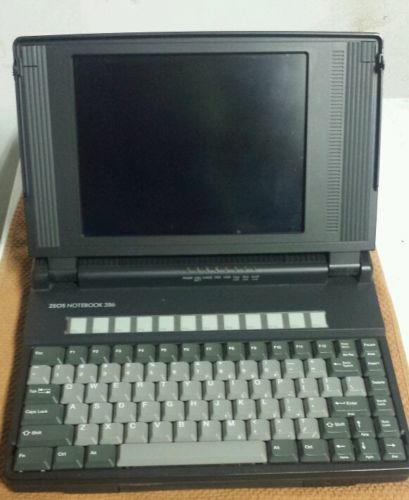 2.5″ pata with ontrack disk manager. Got it. Thanks Ryan! 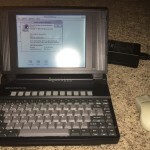 Hi, I have a ZEOS 386+ that I’d like to go to a good home. Send me a note if you’re interested. While I do have a thing for ZEOS equipment, I actually have 2 of these already, but if you would like I could pass your info on to someone else who may have interest in it. 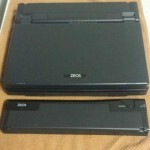 I own a Zeos Contenda 486SL.I’m interested in your laptop. Is it functional? I’m from Romania, so the shipping might be a problem. If Walter responds to your post I can pass your email on to him. Does anybody know, what type of external floppy connector, uses the Zeos Contenda 486SL? I need a floppy drive in order to boot a dos disk or to perform ontrack software install. Thank you! I don’t know what the Contenda uses for a floppy drive connector, if it’s the same as the connector used by my Zeos Meridian 400C, I MAY just have a spare drive around somewhere. If you could post a link to a photo of the port on your laptop I could see if I can help hunt one down for you. I think that the drive you use is the same. If you find the spare one, would you consider selling it? I love my Contenda and the lack of a floppy is a really problem to me.The other poctures from the gallery that i posted above were stored in order to see what other accesories I might find for it. I only have the laptop. I’ll try to work with what I have. I wish I had been able to find the floppy cable for you, good luck on getting it going!